As a room that requires a certain level of privacy, it's important to get the bathroom right when you sell your home. If you're letting people through your home for an open inspection, there are several steps you can take to have it shining bright and smelling sweet for prospective buyers. As a room that requires a certain level of privacy, it's important to get the bathroom right when you sell your home. If you're letting people through your home for an open inspection, there are several steps you can take to have it shining bright for prospective buyers. No matter how frivolously you clean your bathroom through the year, there's always going to be mould and muck popping up in the dark corners. 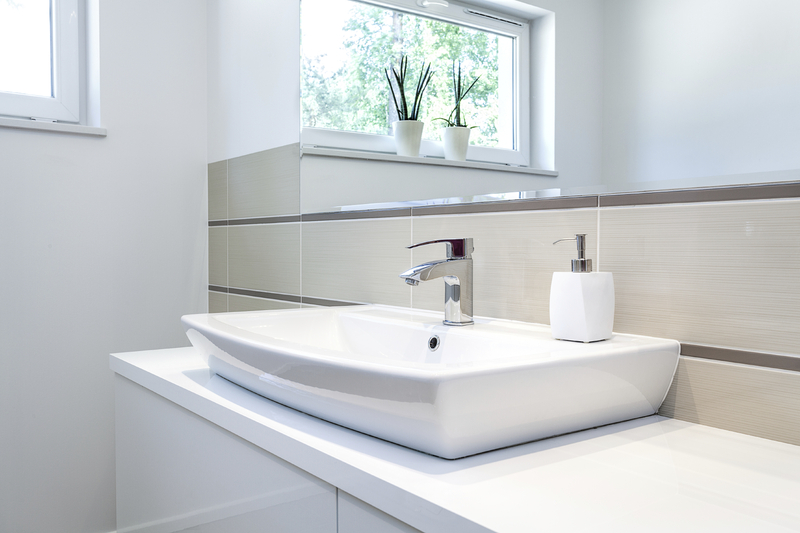 By giving everything a thorough clean before your inspection, you will get the bathroom glimmering and smelling great. Canstar compared many bathroom cleaners, and found that ALDI products were the easiest to use and the most effective, so you should consider these. Domestos and Earth Choice were other popular brands among consumers, the latter of which is a great choice for environmental friendliness. One part of the bathroom that people often forget about is water pressure, which can make or break a home sale if someone is pedantic about how they shower. Soaking a shower head in vinegar is a recommended way of cleaning it to make water flow better, but sometimes you need to go a bit further. You can talk to a plumber or your local water provider about getting your pipes checked out to see if there is any way of boosting water pressure, should you find your shower on the weak side. This will have the added side effect of being a good checkup for any leaks around other home piping! Bathrooms are a crucial area to make as calm as possible - whether taking a long bath or grooming yourself for a night out, you want to conduct personal activities at your own pace. To make the bathroom a calming space, try getting the colours just right. Lighter tones right across the room will make it feel quiet and large - match the towels to the wall colour scheme for an extra touch of class. Don't let that open inspection go ahead without taking to the taps in your bathroom. We don't think about them very often, but they are touched by everyone in a house on a regular basis, and can easily become smudged. Give them a brisk polish to really wow potential buyers! A clean bathroom isn't just a wonderful place for your private affairs - it's a home feature that will stun and delight people that see it at inspection. Fix yours up to boost those chances of a quick sale!